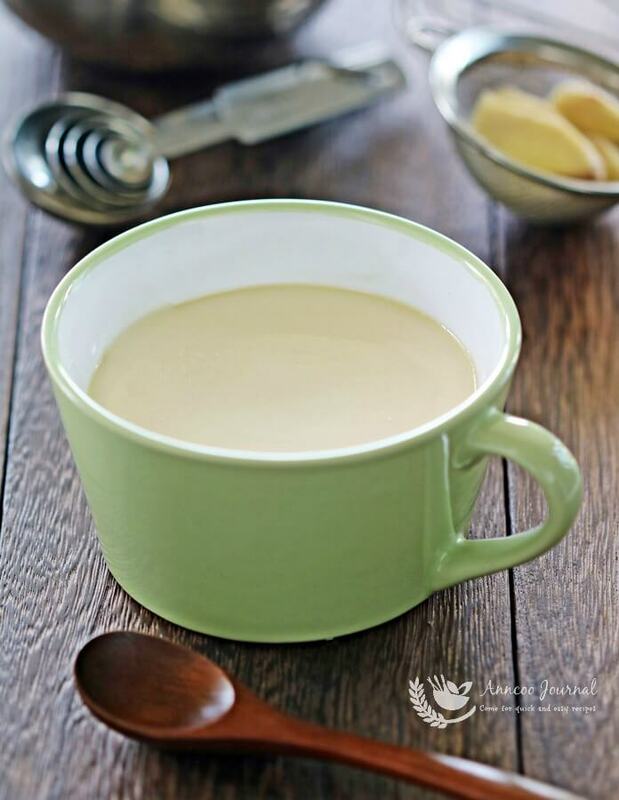 This silky smooth steamed egg white milk pudding with ginger juice is a very healthy dessert . It comprises only four ingredients which are readily available in the kitchen and steaming takes only about 25 minutes. You can serve this wonderful and comforting dessert either hot or cold. Egg whites are a low-calorie food with no saturated fat or cholesterol and can be an excellent dietary option. Ginger can cure cold, blood circulation, upset stomach and according to some health websites, ginger may be effective against pancreatic cancer, breast cancer and ovarian cancer. In a study it was found that ginger slows down the growth of breast cancer cells. Warm up fresh milk in microwave for 30 seconds. 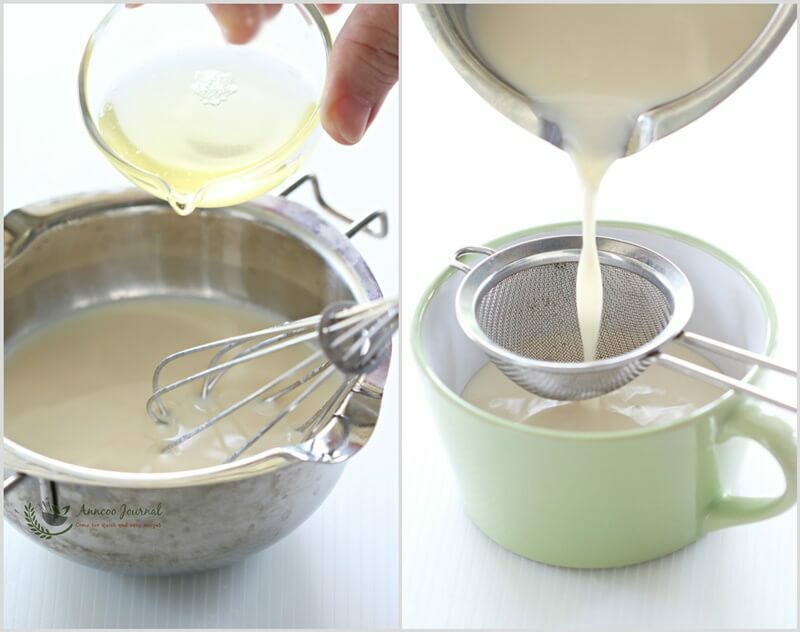 Remove milk from microwave and stir in sugar till dissolved. Add ginger juice in milk and stir well again, leave aside to cool. Then add egg white. 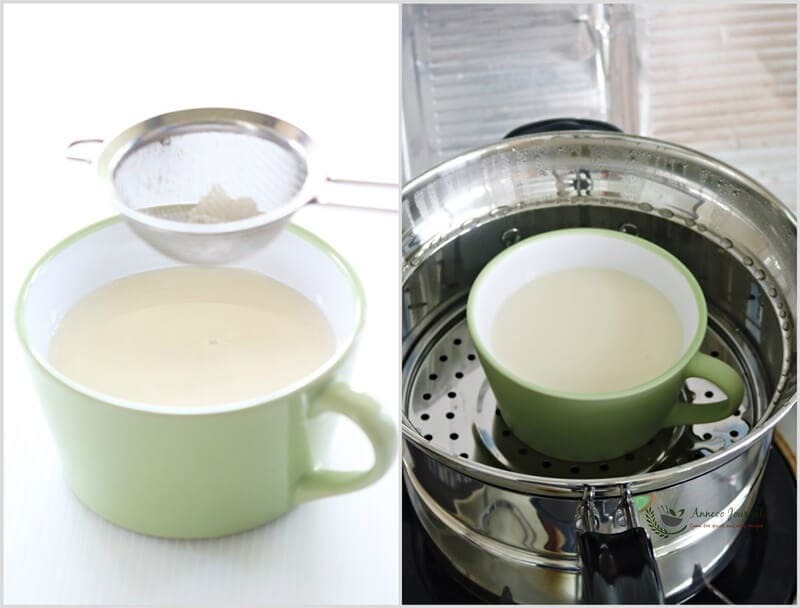 Gently stir well mixture and strain directly into the steaming bowl or cup. Remove any bubbles with a spoon. In steaming a pot, bring water to boil. 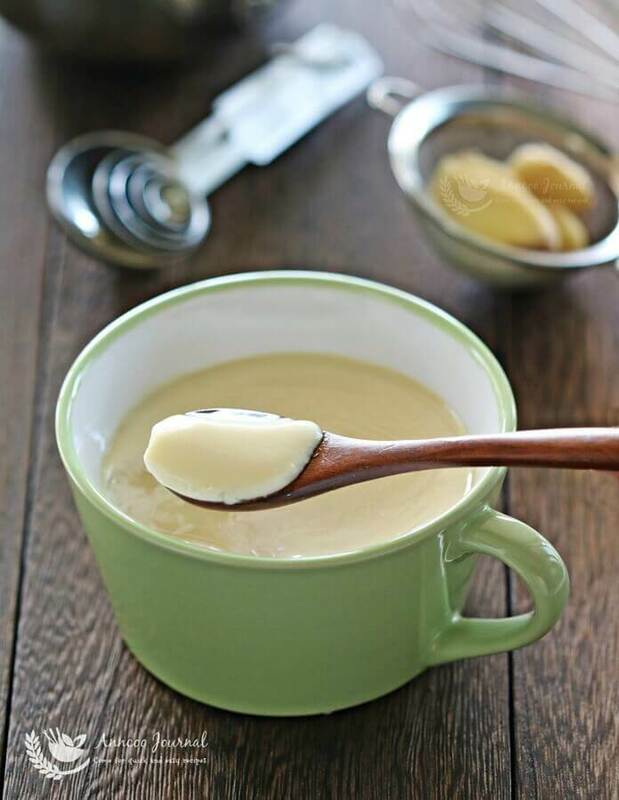 Place in the cup of milk mixture. 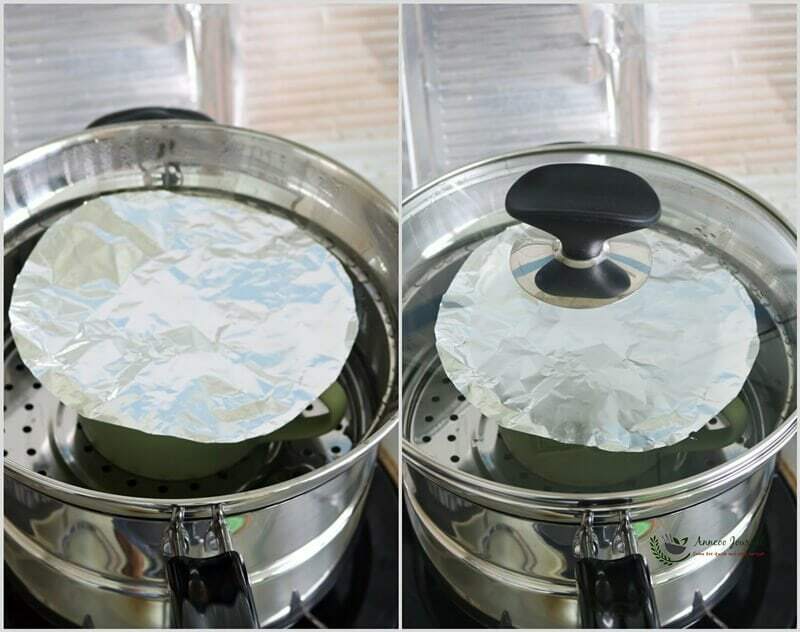 Cover the cup with a piece of aluminium foil and steam under medium heat for about 25 minutes or until just set. Occasionally lift up the lid to let the steam to escape - this helps to produce a smooth surface. Hi Ann, Can I substitute ginger with other ingredients or totally omit ginger? Hi Nancy, without the ginger, the pudding will get a milky taste. 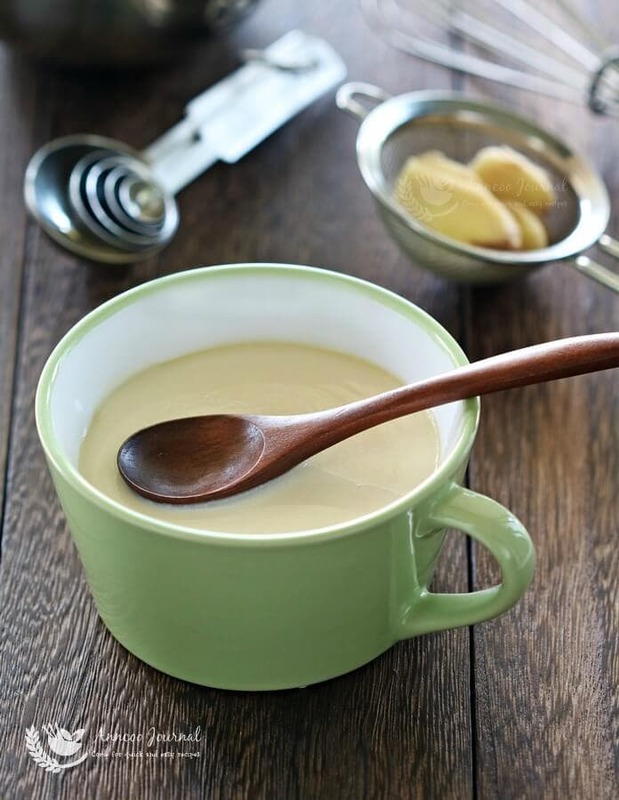 You can use 1/2 tsp of vanilla extract if you prefer. THis is an interesting recipe. My older son hates eggs but he loves sweet dishes. this might be a winner !